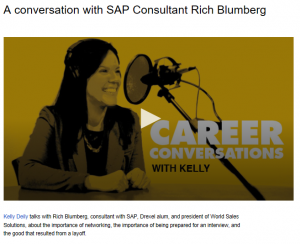 Enjoyed discussing Careers & Professional Development with Kelly Deilly, Drexel LeBow Career Services & Strategist. Check it out. Together we shared insights on best practices, lessons learned, and insights on landing great jobs. What’s the process? What does it take to find success and new opportunities?